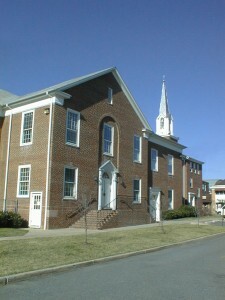 Our church’s meeting place is on the National Historic Register and is located at 69 East Main Street. (Note: When using a GPS device to get directions to our parking lot, use 62 East Delaware Avenue). Historically, the facility has grown since it was first built in 1862, with newer sections having been sequentially added toward the parking lot off Delaware Avenue. Our main worship space (the Sanctuary) is on the upper level at the front of the building, nearest the Main Street entrance. 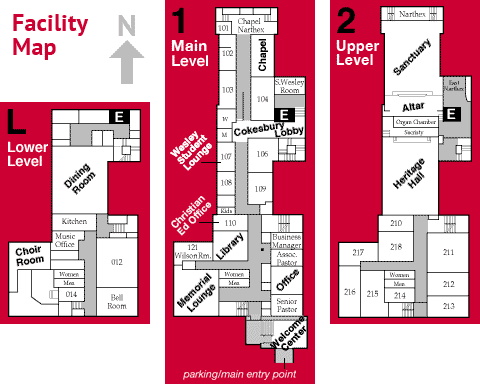 Our social hall (Heritage Hall) is located on the same floor just down the hall. Our educational classrooms are spread throughout the church, where space needs have dictated, but most are located on the main and upper levels toward the back of the building (the section nearest the Delaware Avenue parking lot).